The affordable and user-friendly solution – provides a durable, non-slip surface. 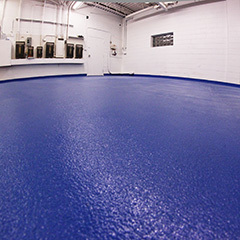 Penntek’s Shop Floor System offers extreme durability and chemical resistance at an economical price. The combination of the PB 200, dry sand, and a high chemical resistance PT 300 topcoat makes this unique system a true one-of-a-kind coating option. With easy to use products and rapid cure times, this system is very user friendly and can be completed in a fraction of the time compared to other systems on the market today. 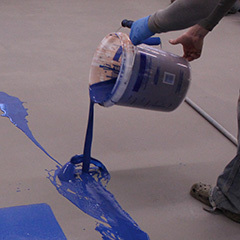 With custom tinted topcoats and the added durabiltiy of dry sand, Penntek’s Shop Floor System is truly unique to every job and will leave a uniform non-slip texture every time.